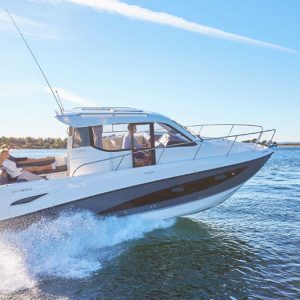 Wonderful boat for anyone looking for a low maintenance, comfortable boat to cruise around the local region. This 2016 Boston Whaler 210 Montauk with a single 150HP Mercury 4-stroke engine (100 hours) has a foldable Sunbrella Bimini, rod holders, ample room to move around and plenty of storage. She was serviced in March 2018, has antifouling, Singapore 7% tax paid and SZ license for 9 pax.